Fine sophistication meets versatile functionalities in this chronograph watch. It ensures that you can adjust the time and use the subdials quite conveniently as it has a crown along with two pushers. Besides, its strap is crafted from leather, which makes it a timeless possession for you. 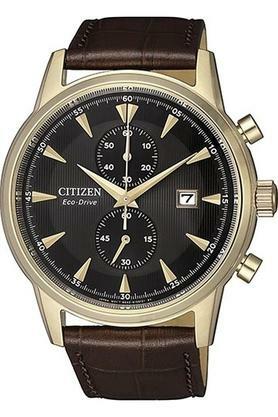 Part of an eclectic collection, this watch is a distinct creation from Citizen.